The fifth course in the Basics roadmap represents a major leap for our Code Campers as they transition from the micro:bit and hardware sensors to mobile programming and more complex data types with App Inventor. With the rapid proliferation of smartphones and growing dominance of mobile usage, mobile programming presents one of the most relatable and relevant domains in which our students will apply their programming knowledge and skills. In this course, Code Campers will learn to decompose a mobile application into its component parts - buttons, labels, images, functionality, etc. ; design a user interface that conveys the look and feel of their imagination; and code the behaviour that will govern how the user interacts with the app and how the app responds. It sounds simple enough but mobile programming, despite being the most engaging, is also the most demanding domain within the Basics roadmap because it requires higher degrees of abstraction using complex data types. Code Campers will need to understand components (a complex data type known as an object which bundles Properties together), properties (types of variables that are bundled in a component), procedures (named sequences of code that perform a specific task), event handlers (routines that deal with an event), lists (an ordered collection of items), for loops (iterations through a list), and scope (the extent of visibility of variables within a program). Each of these are integral concepts in mobile programming and App Inventor. 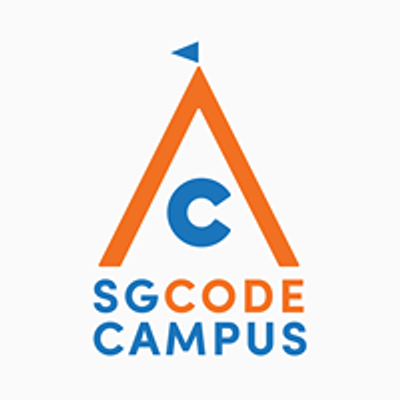 At the end of this course, Code Campers will be able to design a simple user interface and build apps such as a simple game, a texting app and a painting app. This is an 8-lesson course. Lessons will be conducted every Saturday, 23 Mar - 11 May 2019, 430pm-630pm, at our Marine Parade Campus (#03-04 Parkway Centre). *Do note that we require a minimum of 2 Code Campers to start a class. You will be fully refunded if the class minimum is not fulfilled.